Invasive Species - When Environmentalists Get It Wrong Jul 22, 2014 Taking control of the environment is a tricky business. We’ve already covered in previous articles the terrible effects that man-made chemicals can .. Distance Learning Courses Australia Aug 20, 2014 Studying online through distance learning in Australia is an excellent way to bring study direct to your home. This makes it possible to adjust your study and n..
Susan Stephenson : Ecuador Part 1 : The Cloud Forest Feb 13, 2018 Many of you will know me as your tutor for many courses with ADL and some of you will be wondering where I have got to recently. I took a sabbatical from my tut..
Aber Falls Mar 27, 2018 Aber falls (Rhaeadr Fawr) is a spectacular waterfall in Gwynedd, North Wales, near the village of Abergwyngregyn, by the coast. 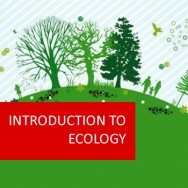 It lies between Bangor and Conwy..
Ecotourism Tour Guide course online. Ecotourism is an industry that has developed hugely in recent years. It reflects both of the aims of modern conservation: management of resources and protection of the environment. Modern ecotourism strives to be sustainable, so that the activities that are taking place can continue to do so. 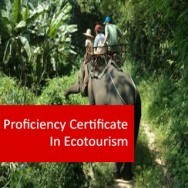 This course develops your ability to organise and conduct ecotourism services including tours and activities. This could range from guided tours, overnight walks and treks, or self guided interpretive walks. Ecotourism is the combination of Ecology and Tourism. Ecotourism is an industry that has developed hugely in recent years.It reflects both of the aims of modern conservation: husbandry of resources and protection of the environment. Modern ecotourism strives to be sustainable, so that the activities that are taking place can continue to do so. This course will introduce you to some of the aspects of ecotourism guiding including environmental awareness, planning tours,displays and interpretive aids, plant and animal interpretation. This course will introduce you to aspects of ecotourism such as guiding environmental awareness, planning tours,displays and interpretive aids, plant and animal interpretation. What Makes a Good Route? What Makes a Good Stopping Point? How Far and How Long? Viruses - The Odd One Out? Australian Animals Case Study: e.g. Australian Ecotourism: Kangaroos, Wallaroos, Wallabies, Wombat, Emus etc. Why Do They Want to Come? When Do You Do It? An ability to analyse the structure of interpretive ecotourism in your country. To recognise factors of the environment and their significance to ecotourism. Create/develop interpretation aids for a selected ecotourism activity. Develop a display with an ecotourism theme. Lead an interpretive tour with an ecotourism theme. Develop innovative concepts in interpretation for a selected aquatic ecotourism activity. Develop innovative concepts in interpretation for a selected ecotourism activity in a land environment. With each assignment you will be required to prepare identification sheets, containing a preserved specimen, a photograph or a drawing; together with a description of the species/type of organism. This collection is designed to be the embryo of a resource which you may use as an ongoing aid when designing and conducting interpretive activities. You will research the legal and administrative background required to set up an ecotourism venture in your area. You will also look at the marketing and advertising possibilities for this venture. Visit a number of interpretive ecotourism facilities. Prepare an interpretive activities sheet for an ecotourism group. Visit a natural area and classify organisms sighted in a set time period. 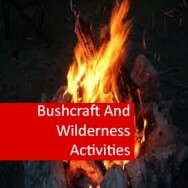 Identify points of interest in a natural area for an ecotourism group. Research the lifecycles of a number of plants and animals. 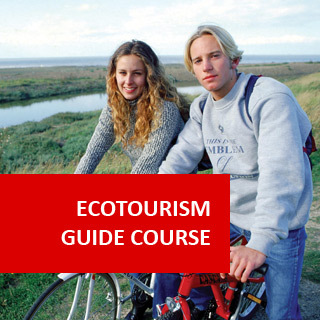 Design a range of ecotours for ecotourists interested in various natural phenomena. Visit an aquatic environment and make observations on the organisms there and any pollution present. 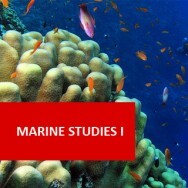 Identify potential ecotourism activities for a marine area. Develop interpretive techniques for minimal environmental impact. Attend an ecotour to assess the quantity and quality of information provided. 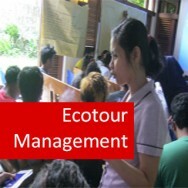 Plan an ecotour including the destination, accommodation, transport, catering. Plan and lead an ecotour to a group of ecotourists or acquaintances.